Cauliflower is one of the best vegetables that tastes very different with a very slight modification. I was eager to try this recipe from the time one of my friend told about this. This is super good and one of the finest way to enjoy cauliflower. Take the cauliflower in microwave safe bowl. 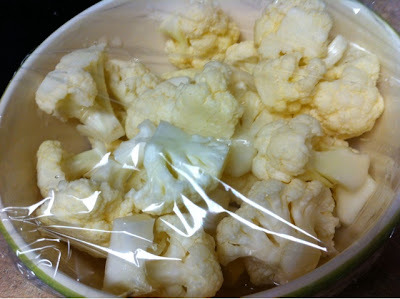 Microwave the cauliflower for 5 min by covering it with plastic wrap leaving some space for the vapor to escape. 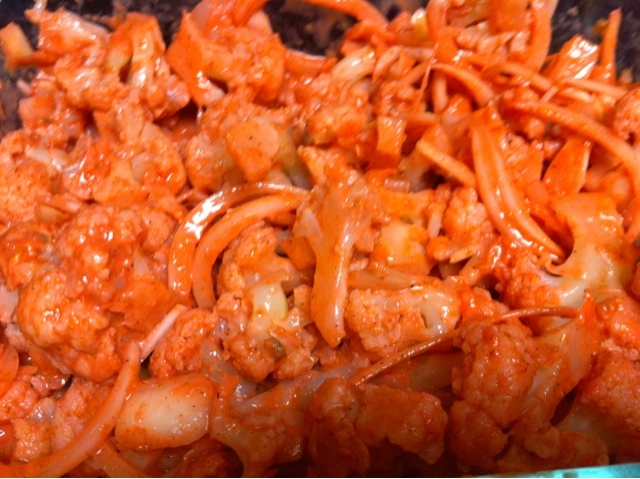 Take a large mixing bowl and mix all the ingredients except cauliflower and onions. Then add cauliflower and onion. 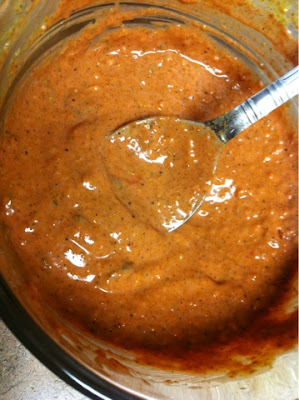 Mix well water from the cauliflower and onion should be enough. Take a baking tray and cover with aluminum foil and grease it with oil. 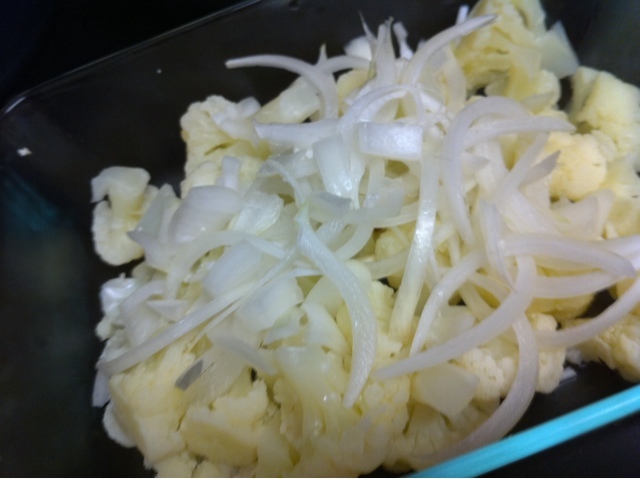 Now take each individual piece of cauliflower and arrange on the tray along with onions. Preheat oven to 300F and bake for 15 min or bake untill the cauliflower appears dry. 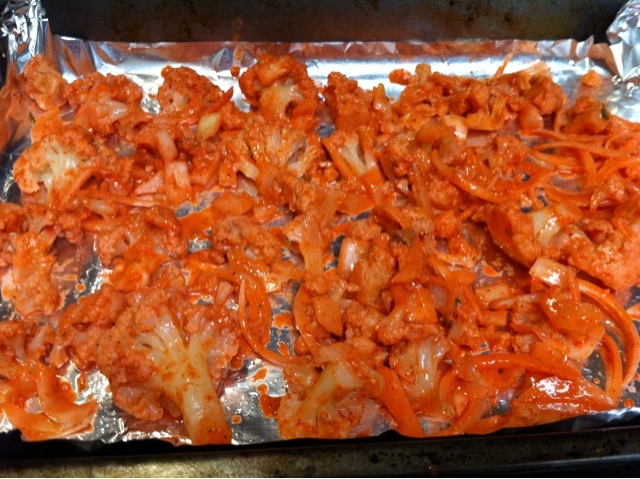 The cauliflower turns crispy out side and remains soft inside. Enjoy with juice or any soft drink. Hope you like it. Please bookmark this blog to visit again and again for more healthy recipes. Nice one DD. Love the idea of baking. 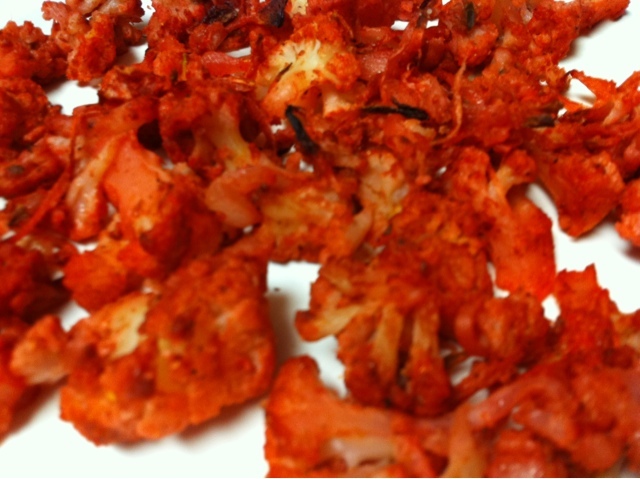 Never tried a baked version of Tandoori Cauliflower..Looks soo yummy and healthy!